As a home decor enthusiast I take every opportunity I have to get my hands on DIY projects that commemorate traditions throughout the year. With that said, I bring you some DIY Valentine’s Day decorations that are not too late to make. 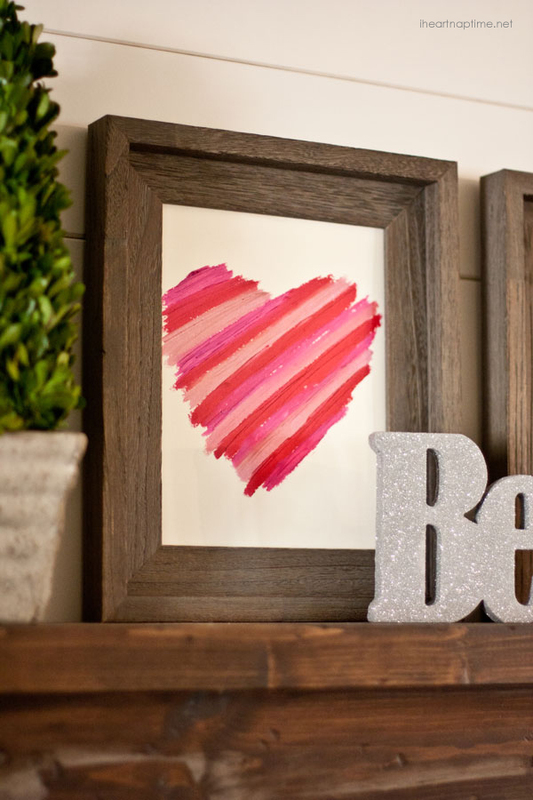 LIPSTICK ART – I love this pretty cool decor because it’s really east to make. You’ll need some cardstock, a picture frame and multiple shades of lipstick. Voila! 2. 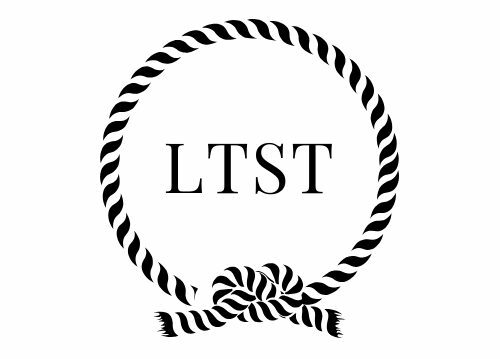 YARN LOVE LETTERS: This idea is also pretty cool. You’ll need cardboard letters and several shades of pink yarn. Get to wrapping! 3. DOUBLE LOVE: what better way to say love in two ways? 4. WICKER HEART: Spray paint an outdated piece and watch it come alive. 6. LOVE ON THE LEDGE: All you need is 4 items to make this piece! Super easy! 8. 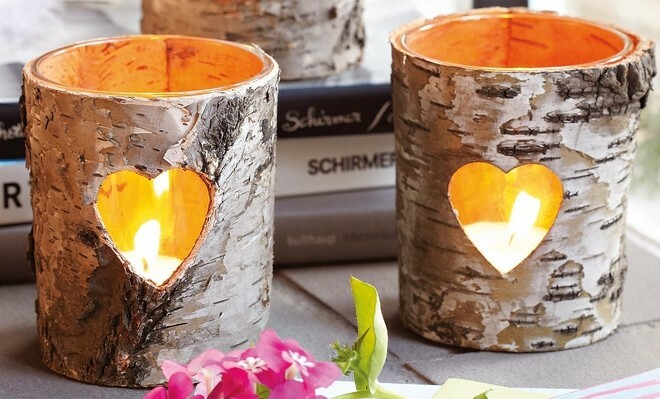 BIRCH HEARTS: these birch bark votives are so cool and unique. 9. DEEP LOVE: beautifully crafted “roses are red” wreath. LIPSTICK ART – I love this pretty cool decor because it’s really east to make. You’ll need some cardstock, a picture frame and multiple shades of lipstick. Or just plain old colored pencils. Voila! 2. YARN LOVE LETTERS: This idea is also pretty cool. 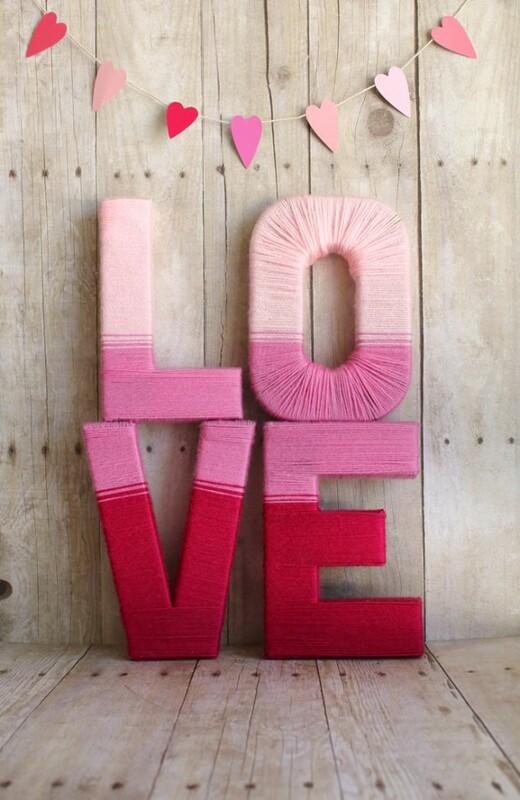 You’ll need paper mache/cardboard letters and several shades of pink yarn. Get to wrapping! 3. DOUBLE LOVE: what better way to say love in two ways? The word and a heart. I am a fan of wooden letters and they can be easily found at your local craft store. For this project you will also need patterns paper to make the roses if you like. 4. WICKER HEART: Spray paint an outdated piece and watch it come alive. Love this idea, but no time to make it. 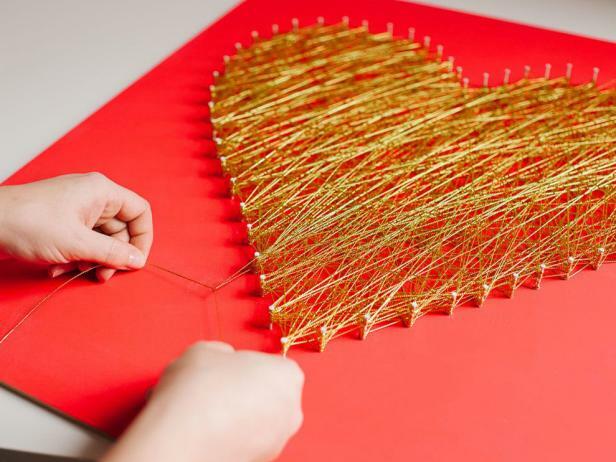 Check out these really cool wood cut-out hearts that could be painted to your liking. 6. LOVE IN LETTERS: All you need is 4 items to make this piece! Click on the tile link for more info. Super easy! 7. RICH HEART: Deep red heart fealt heart. 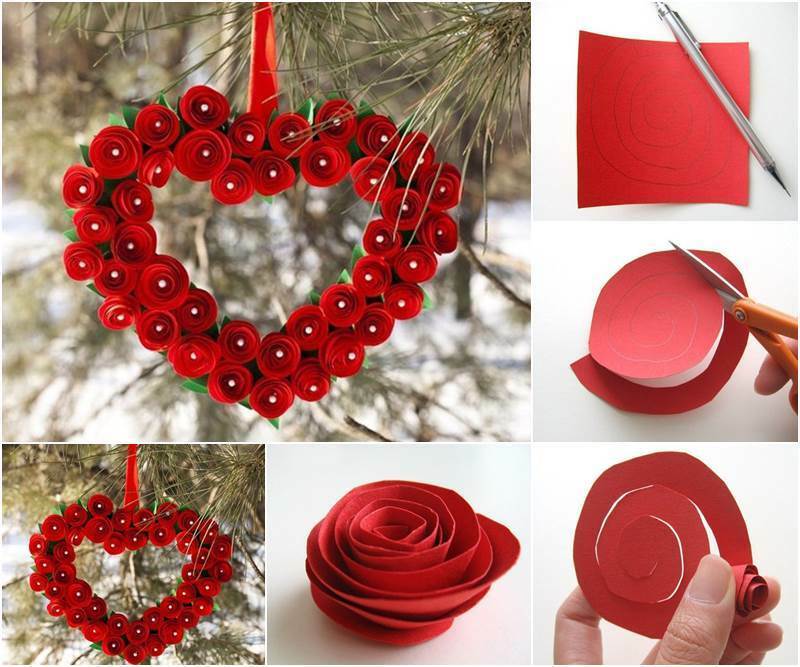 This end product can be achieved by cutting circle of red felt and stringing them onto a hand-shaped wire hanger. 9. 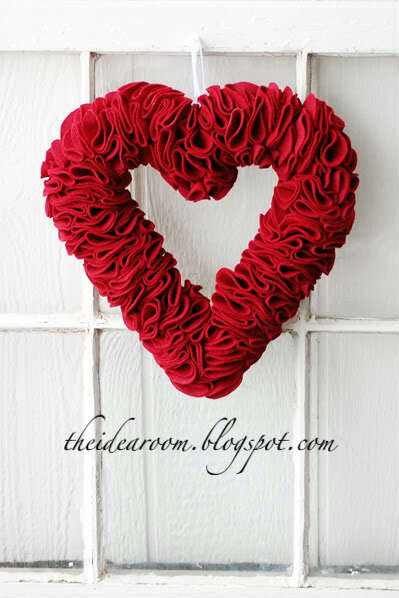 DEEP LOVE: beautifully crafted “roses are red” wreath. Get some red cardstock paper and get to cutting. So easy and sooo beautiful! Which is your favorite? I would love to know what you think.